This will be a first for me: storytelling for the shorter readers, ages 3 to 6! Rebecca Serle (pictured above), of Nurturing Narratives, will be telling Christmas stories, and I will be helping her, in our school library. 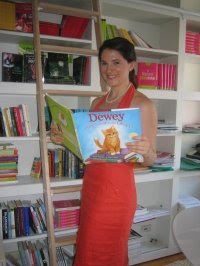 Rebecca will conduct a short literacy workshop afterwards for the adults who accompany their children.